Fiber is indeed coming as Google’s ad campaign continues on. It’s no secret now that the building at 518 West Jones Street will be home to the area’s Google Fiber offices. Or maybe showroom? Storage room? Who knows. Google Fiber may be great for the area but I’m still eager to see how this building will be used once they are up and running. 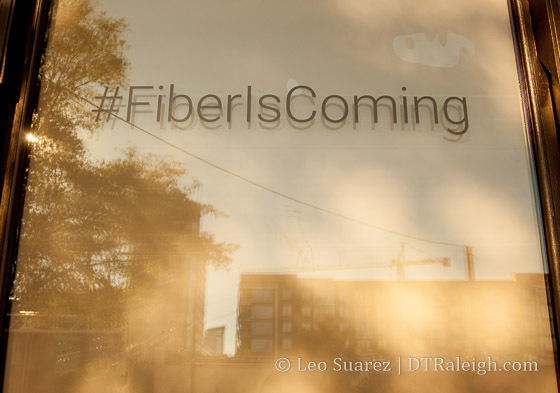 Here’s what I see: FIBER LS COMING. Sometimes a serif font makes a difference Googie. 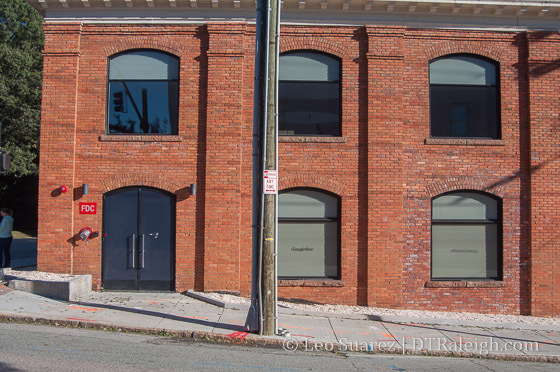 I was pretty sure the Glenwood building was going to the Raleigh retail front for fiber.